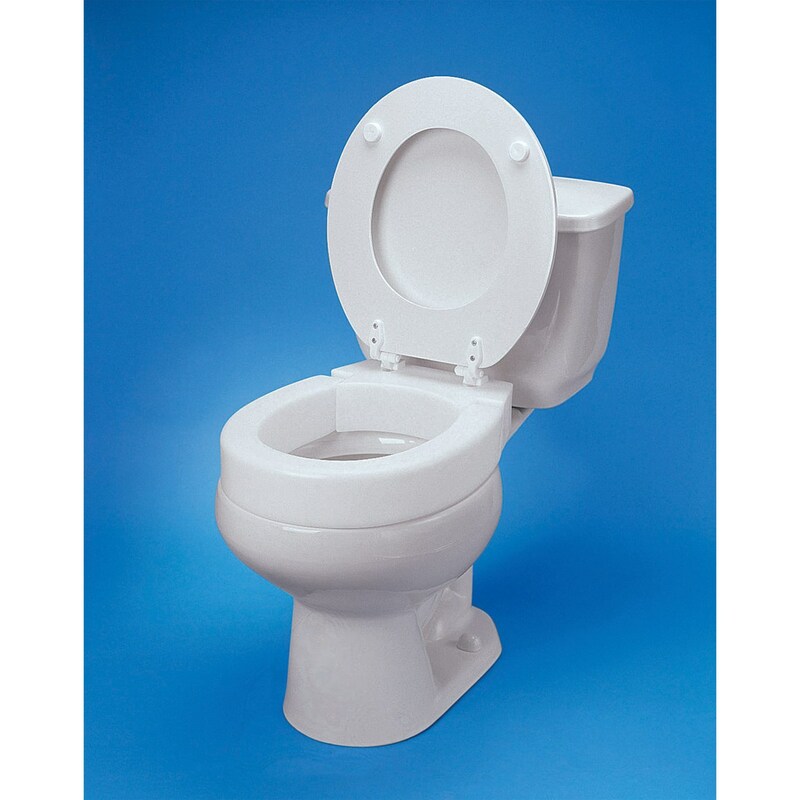 The Hinged Elevated Toilet Seat allows those who may have difficulty with back, neck or leg pain or mobility to gain greater independence in the bathroom. 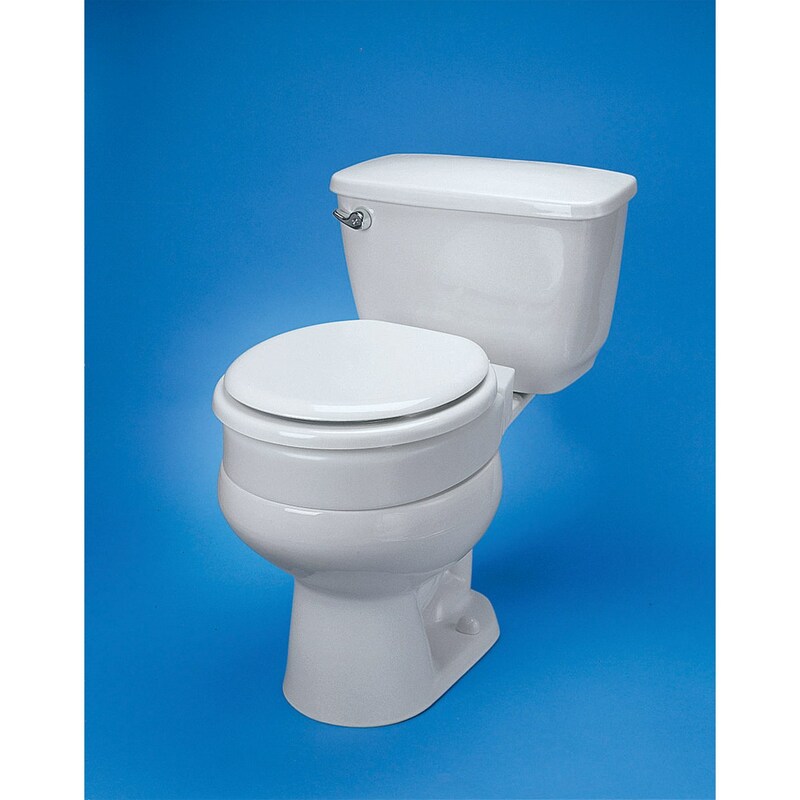 It installs under the existing seat and provides a 4 (10.16 cm) boost in elevation, allowing the user greater ease, comfort and ability to sit and rise from the toilet seat. 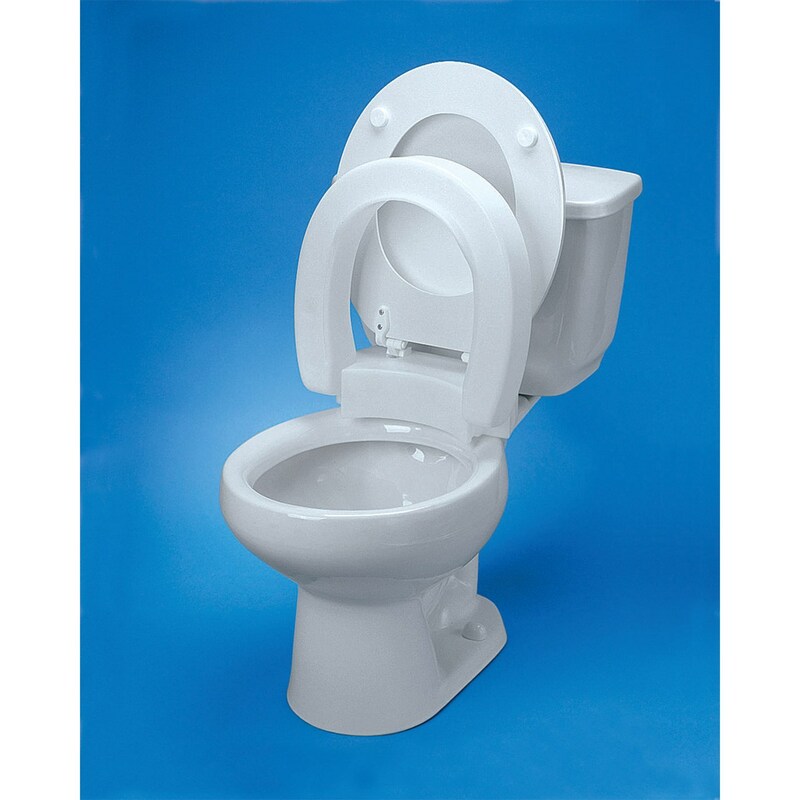 Its unique design allows it to be lifted and lowered like a normal toilet seat for easy access and cleaning and to be used in conjunction with a standard toilet seat and lid so that it won't significantly change the bathroom décor. Installs easily with included hardware. Made in the USA. 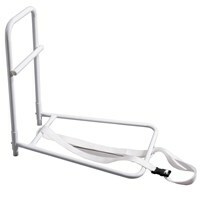 Comes in standard size and elongated models. Color: White. Non-returnable item.